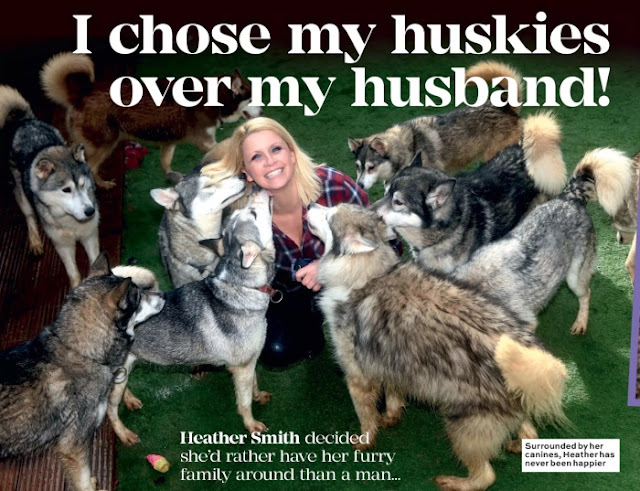 She has taken in over 500 huskies since falling in love with the breed and spends 16 hours a day caring for them. She set up Saint Sled Dog Rescue after hearing about a dog, Athena, who was set to be put down as her owner couldn’t afford surgery on her leg. Heather, of Peterborough, Cambs, said: “People say I’m crazy, but I see them as my family and they need me just like children need their parents. “I fell in love with sled dogs when I got my first husky Sasha 12 years ago. “Then I rescued two more dogs, taking the total to three. Then they had puppies, so we had eight. “After that the pack grew and grew and I remember when I had 13 my husband said, ‘If it goes up to 20, I’m leaving’. Heather has helped re-home 400 dogs and has a team of 30 staff and hundreds of volunteers across the country who help with foster care, home checks and transporting pets to their new families. But her devotion to the dogs has made it hard to find love. Responses to "Woman gives up marriage to live with 500 huskies, then helps 400 homeless dogs too"
If I were 20 years younger, I would marry you. I have had up to 30 at one time, huskies, I mean. I so understand. Fortunately, I never made the mistake of having a man in my life.... only the huskies.